Avengers Assemble! Form of: Graphic Novels! 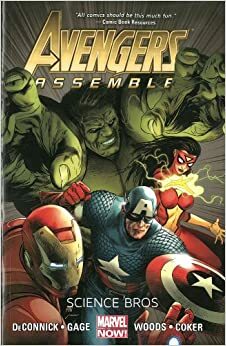 So, somewhere i read that the Avengers Assemble series of comics is a newbie-accessible version, recently released and tailored to movie fans by featuring, in the main, the movie characters. When I saw that the subtitle of the second collection was "Science Bros" I so had to read them. 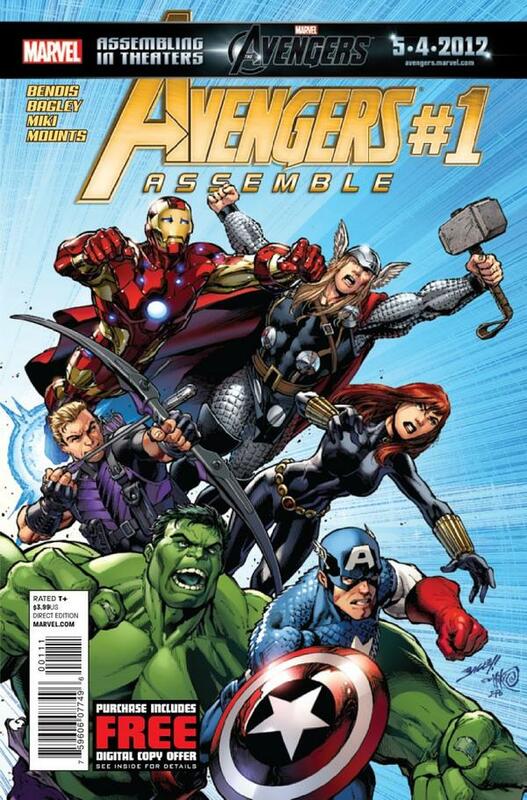 Avengers Assemble collects issues 1-8 while Science Bros collects 9-13 and the Annual. Avengers Assemble is definitely the better of the two books and feels, in some ways, like a sequel to the movie which was probably what the creators were going for. Science Bros wasn't bad but only the first half was "Tony and Bruce have an adventure" and actually they are competing for part of it, rather than cooperating. not bad, but not what i wanted to read. Unfortunately, there just wasn't much to them. I wanted them to be better, more story and character development, but mainly they were fights and explosions and such. ah well. My first update post of the year!